Radios With Rotatable AM Antennas? With your broad knowledge of radios, wondering if you can add anything to this list of portable radios, past and present, that have 360 degree rotatable directional AM ferrite antennas. Reason is I am looking for an AM portable for the nightstand for nulling out unwanted AM stations while also doing a little DXing. [RDF radios] are kind of big, however Raytheon, Ray Jefferson, and Nova-Tech did have smaller model RDFs that could be considered table-tops). The alternative is to build or buy a passive indoor antenna. Maybe readers know of other models? Thank you for your inquiry, Mario! I will do a little research of my own because you listed every model (and more) I could think of off the top of my head. Post readers: Please comment with any models we could add to this list. I will take all of the suggestions and make a master list to post here on the SWLing Post so it’ll be easier for others to research in the future. I’m pretty sure this question has come up before. This entry was posted in AM, Antennas, Mediumwave, News, Portable Radio, Radios and tagged ferrite antennas, Mario Filippi (N2HUN), Medium Wave, Mediumwave, Rotatable AM antennas on November 29, 2016 by Thomas. Hi there, a good friend of mine Mr Thomas Brogan mentioned to me recently that his little Tecsun PL-310ET was proving to be an excellent receiver and that it would suit my DXpedition activities. Now, as someone who likes to push the envelope of performance with sophisticated portables, usually coupled to very large antennas, a cheap little Tecsun might not have been an abvious choice for my next purchase. However, Mr Brogan (who has an excellent Youtube channel by the same name – check out his wonderful collection of vintage and modern receivers) previously suggested I buy, for similar reasons, the Sony ICF-SW100. That little masterpiece of electronics turned out to be one of the best receivers I’ve ever owned. I felt compelled to take notice because Tom never gets this stuff wrong! A few days later I found myself in Maplins – again – and there it was on the shelf at just under £40, so I bought one. 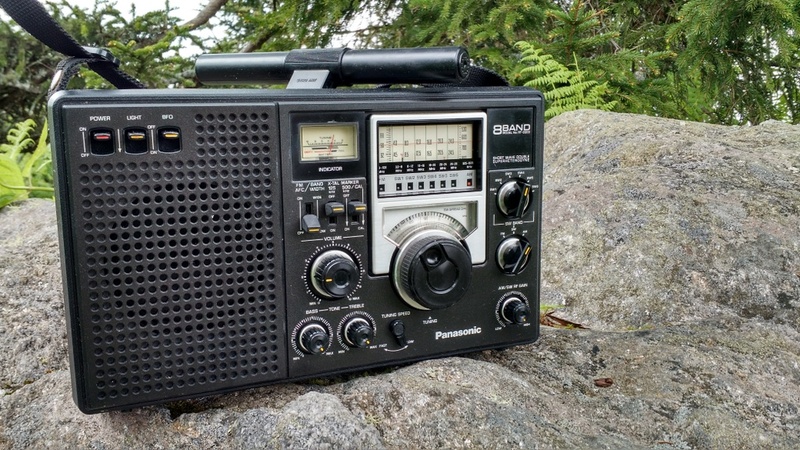 I got back into shortwave listening about 18 months ago, after many years of inactivity whilst my poor Sangean ATS-803A rotted away in the garden shed and Sony ICF-7600G long-gone via eBay. To start all over again, I bought a Tecsun PL-360. What a great little portable that turned out to be – there are over 100 reception videos on my YouTube channel demonstrating how it continually performed above and beyond the very modest price tag. I even managed to hear ABC Northern Territories 4835 kHz on it once – simply amazing for a receiver under £30. Given my extensive experience with the PL-360 and having learned the PL-310ET shared the same DSP chip, I was expecting the same, or at least very similar performance and the only real benefit to upgrading to the PL-310ET was the direct frequency access. However, I was wrong about that! About a week after buying the PL-310ET, I managed to get out on a DXpedition and with 30 metres of wire attached to it via the external antenna socket, I started tuning around the SW bands. Quite simply, I was amazed at the sensitivity and selectivity of this diminutive little portable. With the proven DSP receiver chip and a number of audio bandwidth filter options from 1 to 6 kHz, coupled with direct frequency access via the keypad, it was a joy to use and listen to. In just over an hour I had copied signals from North Korea, including their internal service KCBS Pyongyang, Zanzibar BC, ABC Northern Territories (at the first attempt! ), Zambia NBC Radio 1, Radio Oromiya and Radio Amhara from Ethiopia, amongst others. Brilliant stuff and clearly demonstrating that the overall hardware/software package with the PL-310ET is a step up in performance over the PL-360 and capable of proper DX for a very modest outlay. Interestingly, in a conversation with Thomas Witherspoon regarding the PL-310ET, he reminded me that it was one of his go-to radios for travelling and confirmed it’s excellent performance. 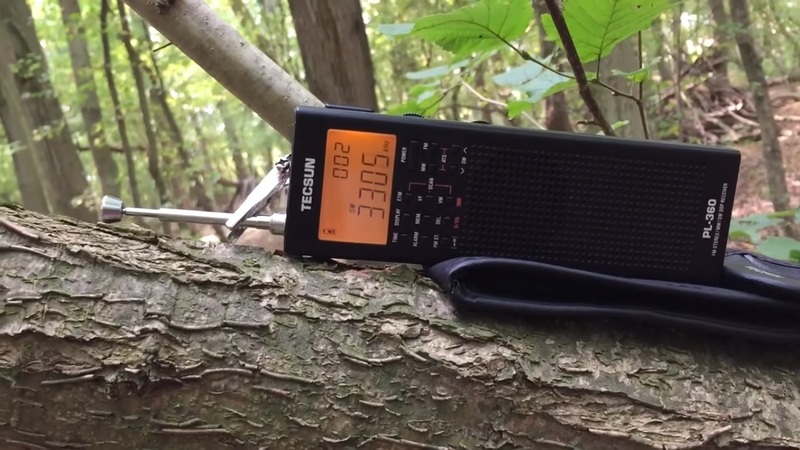 I would definitely recommend this radio to novices and experts alike. Reception videos follow below, with more to come in part 2; I hope you enjoy them. Thanks for watching/listening and I wish you all excellent DX! 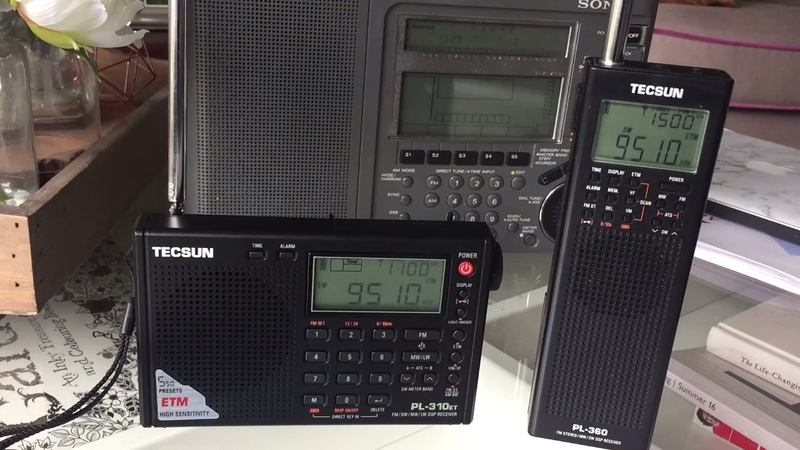 Tecsun PL-310ET: Successful office DXing with a Sony AN-71 wire antenna! 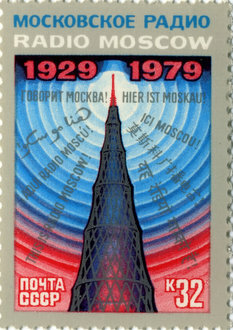 This entry was posted in Antennas, Broadcasters, DXpeditions, Guest Posts, International Broadcasting, Manufacturers, Portable Radio, Radios, Recordings, Reviews, Shortwave Radio, Shortwave Radio Reviews, SWLers, Ultralight DX and tagged ABC Northern Territories, DXpedition, KBS World Radio, KCBS, KCBS Pyongyang, Longwire antenna, PL-310ET, Radio Amhara, Radio Australia, Radio Oromiya, shortwave listening, Shortwave Radio, Tecsun, Tecsun PL-310ET, Ultralight DX, Voice Of Islamic Republic of Iran, Voice of Korea, Zambia NBC Radio 1, Zanzibar BC on November 28, 2016 by Clint Gouveia. A few weeks ago, TX Factor posted their 13th episode–I’ve been so busy as of late, I forgot to post a notification! This entry was posted in Ham Radio, News, Shortwave Radio and tagged TX Factor on November 28, 2016 by Thomas.